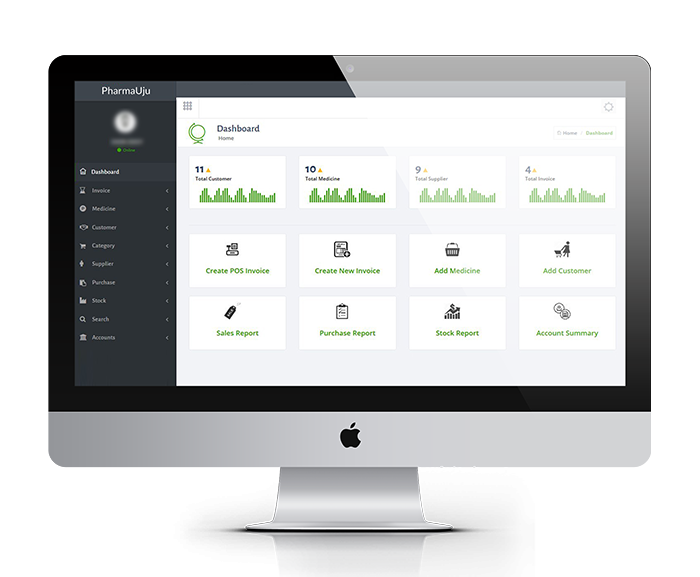 PharmaUju is a pharmacy software which is responsive Modern design for any kind of pharmacy. This pharmacy software is actually used for pharmacy data management. It is design and develop for pharmacy, medicine store, departmental store and medicine shop. Handle all of your pharmacy data easily. Here you can handle all of your pharmacy account management, invoice create, user and data analysis, stock management, store management, purchase history, income history, POS and many more. Pharmacy Software helps Pharmacists to access different records like: Billing Information, Reports, Stock Details, Order Management, and many more. 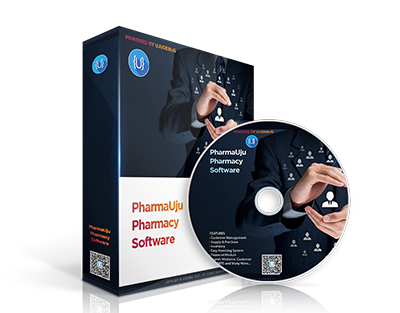 PharmaUju Software had come up with the solutions which are prior beneficial for the Pharmacists. PharmaUju Software with the motto of “No more worries in handling pharmacies; No more troubles in keeping the records of medicine; No more headache in maintaining stocks, bills “developed PharmaUju Pharmacy Software for the Pharmacists for the easy and conveniently handling their Pharmacy shops as it makes billing quite faster and easier. In PharmaUju Pharmacy Software, there are features for automatic updates on Negative Stocks, Prescription Pending, Expiry Stock alerts, Reminder regarding appointments. In PharmaUju Pharmacy Software, Stock maintenance is quite easier; you can maintain stock via – general way, Supplier wise, Company wise, Product wise, Batch wise etc. Evaluation of stock becomes easier you can set alert over the stocks which are costly or less costly; expiry dates wise, negative stock. Daily, Monthly, Yearly Sales, Profit and Expense Report Generate Report by Date Range and Many More.